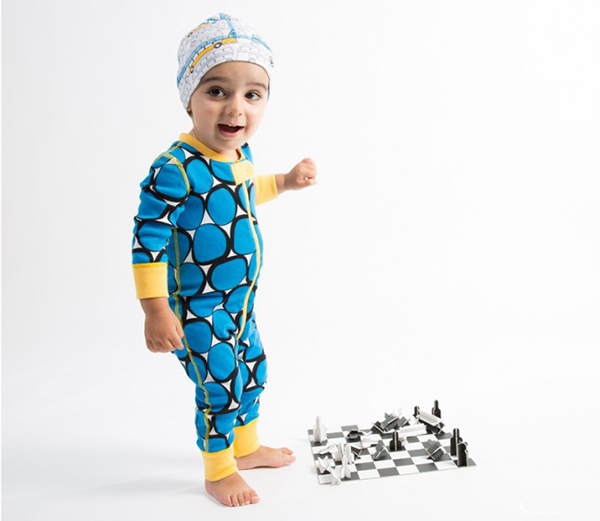 We love Moodie for toddler and kids sleepwear! Here’s a simple truth. Not all children’s pyjamas are created equal. And that’s very clear the first time you set your eyes on Moodie, a fun lounge and sleepwear brand for infants and children that’s about to take sleepy kids by storm. Designed exclusively in Australia, Moodie sleepwear and loungewear for boys and girls is perfect for lazy mornings that turn into blissfully easy days. A collection filled with bright and cheerful Long Johns ($49.95), Short Johns ($44.95), tank and short ($44.95) styles just to name a few. Each garment is magnificently comfy for kids to – you guessed it, both lounge, play and sleep – wherever their mood takes them. Moodie uses the softest prewashed highest quality cotton jersey knit to ensure little bodies are kept snug. No flimsy wash-and-you’ll-stretch-it (or shrink it) cotton here. And there’s no shortcuts on the detail either, with flat-lock seams and zip tabs for comfort, plus ready to grow cuffs for babies. The gorgeous graphic prints that so easily catch your eye are all designed by the very clever Jody Templeton, a New York native who now calls Australia home. In fact, I’m willing to bet eight hours of sleep that kids will adore wearing such fun prints. Moodie was only just launched at the Kids Instyle trade show in Melbourne, where it caught out eye in a big way. It is set to hit stockists all over the country soon, so be sure to sign up for the Moodie newsletter to find out when and where!